Google Assistant is one of the more refined personal assistants in the market and LG wants you to make the best of it. While saying ‘Ok Google’ will suffice, the company believes a more convenient way to summoning the assistant is through the push of a button. The upcoming flagship named the G7 ThinQ will have a dedicated Google Assistant button so that you will be able to access it in no time. LG’s upcoming flagship will pay special attention to AI. A dedicated Google Assistant button will make it a lot more convenient for users to launch it. Samsung had planned something similar for Galaxy S8 with the Bixby button but let us face, it is not in the same league as Google’s digital weapon. The dedicated AI button seems to be on the left-hand side of the G7 ThinQ, alongside the volume buttons. However, the button is not for LG’s own artificial intelligence, but for the Google Assistant. 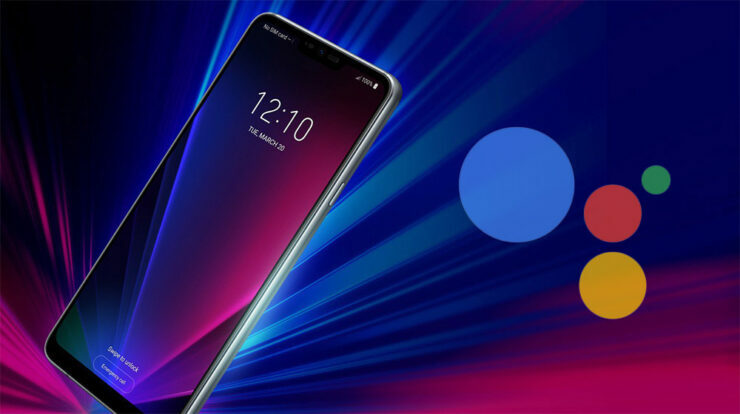 As seen on the LG V30s earlier, some particular commands will be available through the Google Assistant on the G7 ThinQ. Unlike the Samsung Bixby button, you can’t reprogram the G7 ThinQ’s AI button to launch another app. This could be a turnoff for users who want to be able to decide which app the extra button would launch. A lot of Android phones already have the Google Assistant, but you have to long press the home button to summon it. This is not the most convenient way to launch the assistant so a dedicated button will make it much easier. Google is competing with Amazon Alexa to makes its assistant an essential part of people’s lives. On the other hand, LG is trying to stay relevant by trying to launch a phone that will make it big in the market. The LG G7 ThinQ is not about to be released anytime soon. However, that doesn’t mean we will not get to know about it before the launch as LG will talk about the upcoming flagship at an event that is expected to be held on May 2, 2018.